Almost any artist painter, may famous artist or not, realistic or surrealistic, did his / her self portrait. There are many famous artists whose artwork is filled of many self portraits paintings. 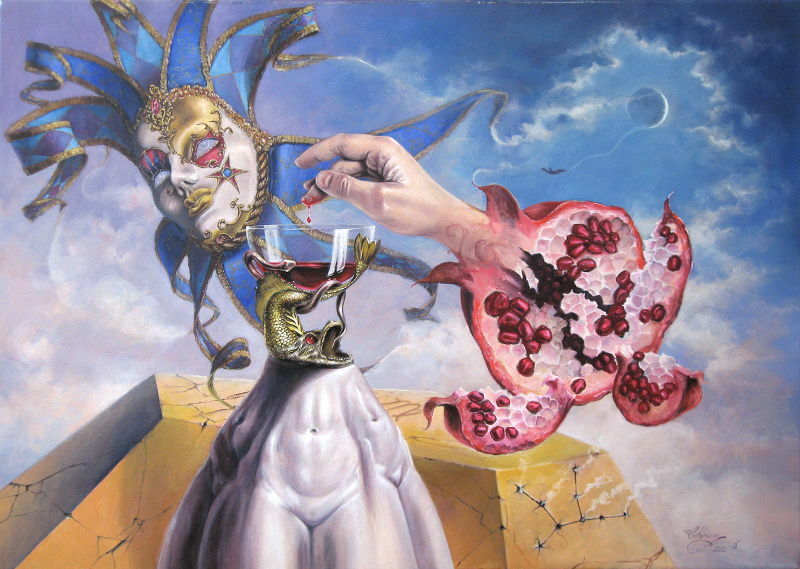 I only mention Rembrandt van Rijn to name a realist painter and, speaking of surrealism – our topic, Salvador Dali the most famous surrealist artist. Rembrandt did paint more than 90 works of art of himself! A huge and true autobiography in paintings. Salvador Dali, as well as Rembrandt , painted a lot of paintings in which the main element was his figure. There are many other artists besides these famous two whose self portraiture is a big slide of their artwork. Many of us would say this is because of the large ego of the famous artists. Who knows! Maybe is true for for some of them, but I think it is another reason involved for this, too : the own body is the cheapest available model. Anytime , anywhere , 24h a day ! Well, if Salvador Dali is known for his big large enormous huge fantastic surrealistic extraordinary and name-you-other-extra-adjectives EGO, naming himself the savior of the arts, I’m not at all egocentric! …hmm..well, maybe a little tiny bit like all the artists are without exception. So, being that little egocentric, I did just two paintings depicting myself along the years. 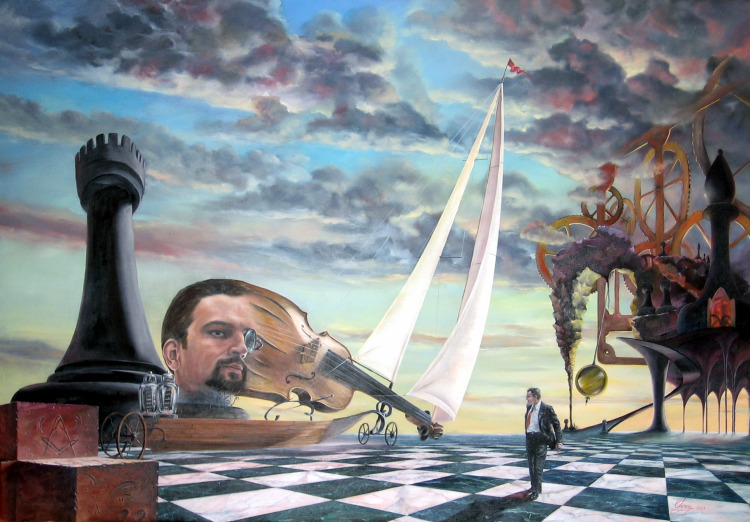 A contemporary somehow abstract painting and a surrealist painting (this one posted above). The abstract one was did intentionally and the surrealist painting was did because I found no one to pose for me at the moment of conceiving this surrealist painting. Don’t know who’s the running man on the chess table. It’s an oil painting, size 120 x 80 cm which I painted and sold few years ago. Free quality link exchange for art related websites.